Russian stocks will likely open lower Thursday as investors weigh their positions in anticipation of a speech by US Federal Reserve chief Ben Bernanke. 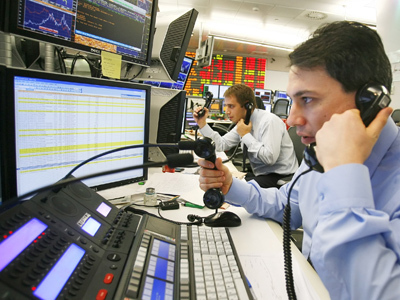 ­Russian markets closed in the red Wednesday amid uncertainty about oil prices and negative trends in Europe. The MICEX declined 1% and the RTS shed 1.3%. Banking and mining losses weighed down European stocks on Wednesday. The Stoxx Europe 600 fell 0.1% and France’s CAC 40 declined 0.5% following a weak earnings report from L’Oréal SA. Spain’s IBEX 35 lost 0.4% due to poor performance in the banking sector. Germany’s DAX 30 closed 0.1% higher. US markets posted minor gains on Wednesday after the Federal Reserve’s Beige Book indicated gradual economic expansion across the Fed’s 12 districts. 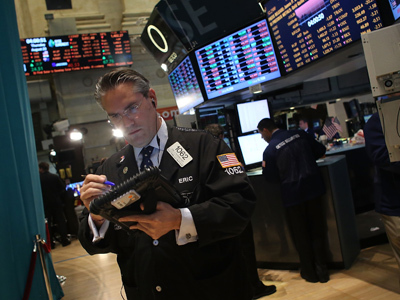 The Dow Jones increased under 0.1%, and the Nasdaq Composite and the S&P 500 advanced 0.1%. Asian stocks declined Thursday, with weak Japanese retail data and lower commodity prices squeezing major markets a day ahead of Bernanke’s speech. Japan’s Nikkei fell 1%, South Korea’s Kospi lost 1.4% and Australia’s S&P / ASX 200 fell 1.1%. Hong Kong’s Hang Seng declined 1.3% and the Shanghai Composite fell 0.3%.